Nissan is a well-known name in the car industry; known for its sports cars, trucks and SUVs it is no wonder that when people go shopping for a used vehicle it can often be a Nissan. 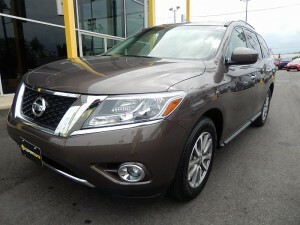 ExpertAuto knows this which is why we have a large stock of Pre-Owned Nissan Cars For Sale in Alexandria, available. Want a Nissan? Contact our helpful team at (866)429-0970; for information on our inventory of Pre-Owned Nissan Cars For Sale in Alexandria at Expert Auto today!